ERICA, CommU, and Ibuki are some of the new advances brought by Prof. Hiroshi Ishiguro and his team, within the project ERATO ISHIGURO, in developing a humanoid robot with the ability to make human-like conversation. According to a press release from Japan Science and Technology Agency, Prof. Hiroshi Ishiguro – Member of AIWS Standards and Practice Committee, along with his team, have recently developed a humanoid robot with the ability to take part in human-like conversation. 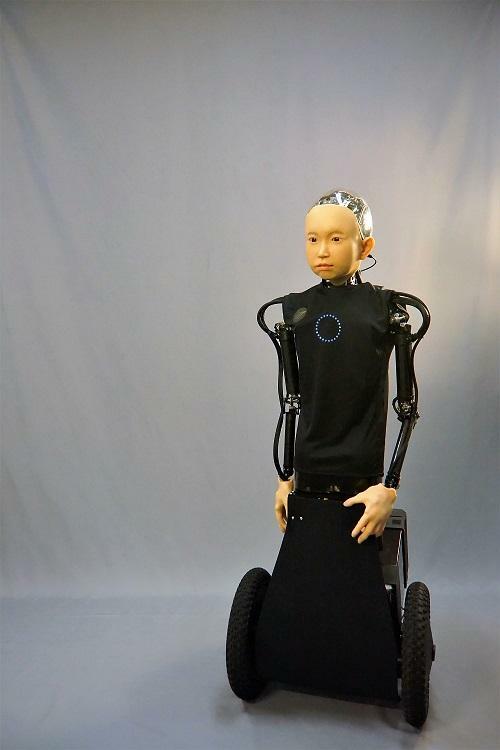 As part of the work, Prof. Hiroshi Ishiguro and his team have developed a child-like android named “ibuki”, with the goal of developing a conversational robot that is also capable of walking alongside humans by using equipped wheels. As part of the ERATO ISHIGURO project, a multimodal recognition system was built, including a camera and microphone array. Then, a conversation control system was developed that can control the speech, motion, gaze, and emotion of the robot. This attempts to set a technological foundation to facilitate the interaction of the robot with the human. Though it’s only been tested over a relatively short period, the android “ERICA” has shown abilities to have natural conversations with humans and increase the perceived existence of the robot by the human. Moreover, a more comprehensive system was developed for the robot which has resulted in a more human-like sense of conversation. It consists of novel technologies, such as the implementation of natural and various types of nodding or asking in return with analyzing the linguistical focus terms of the interaction sentence. Additionally, a multi-robot conversation control system has been developed with a group of conversational social robots named “CommU”. This system controls the timing of multiple conversational behaviors, which make it possible for the robots to perform turn-taking interactions, such as passing the conversation or playing specific roles during the conversation. These improvements are expected to be applied during further stages of the development of social conversational robots, which aim to support life as well as human learning.